Richard Skinner shoots heroin on Monday, Feb. 6, 2017, into a vein near a tattoo he got during a stint in prison years earlier. 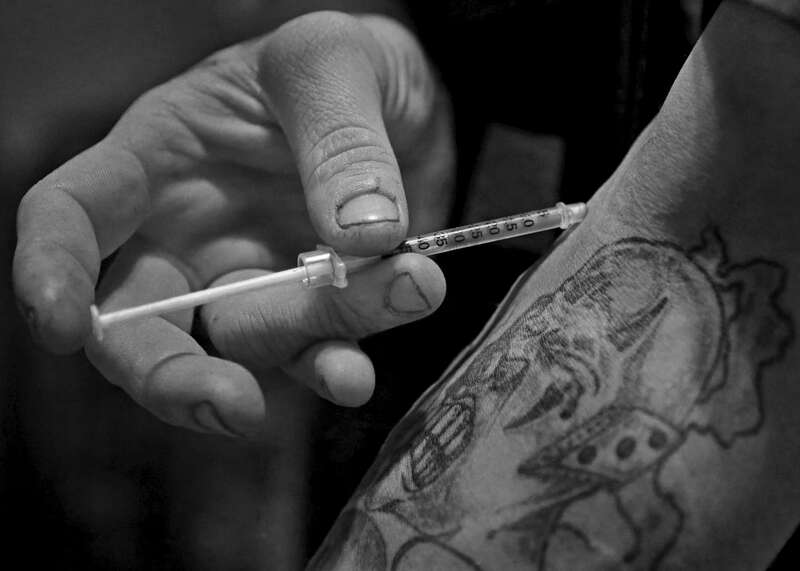 "Heroin is the only thing that ever stole my soul. I'm not me any more" says Skinner. Skinner who had to be revived by paramedics from a a near fatal overdose just a few weeks ago "Death ain't nothing to me anymore"